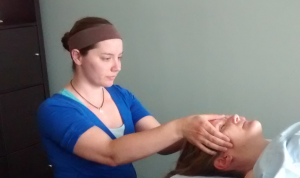 Our bodies are wonderfully complicated entities, which makes the field of bodywork so exciting. Any kind of bodywork that delves into the fascia prompts change in those tissues, on a level that can’t be accessed with other methods of healing. (Fascia is a blanket term for all connective tissue in the body.) Our soft tissue (muscles, tendons, ligaments, skin – all the softer fascia of the body) can be stretched, strengthened, injured, or torn. Thankfully, our bodies adapt and compensate for an immense variety of potential mishaps that we encounter as we go about our lives with both our work and our play. Also thankfully, our bodies do heal, and they can also be retrained out of any bad habits we’ve had – all we need to do is prompt our muscles to do different things to learn new behaviors. What a wonderful fascial system we have! Many of us have had some type of injury. We may have gone through physical therapy, we may have just put some ice on it and taken anti-inflammatories until our acute pain went away, or we may have ignored the pain until we no longer noticed it anymore, pushing through the daily “have to’s.” The fascia does eventually heal, sometimes in spite of ourselves. But… if there was any emotional trauma connected to that injury, the emotional aspect of the injury does not simply go away as we ignore it. Ah, the complication now arises. Our fascia retains those emotional memories. If this is a new concept to you, then pause and think on that for a moment: our fascia retains those emotional memories until we release them. Unless you have experienced this phenomenon, it may be difficult to grasp. I had grasped the concept mentally years ago, yet I still was not fully prepared for the first time I experienced this type of healing. Many of us have learned to push down our emotions, pressing on and not stopping to feel or to grieve. There may be fear, sadness, or anger associated with any traumatic event that results in physical injury. How often do you think we allow ourselves the time and space to process those feelings at the time they occur? Many of our chronic pain issues are simply our bodies crying out, begging us to pay attention to what still needs healing, and it may need to be on an emotional level. Our bodies can wait a very, very long time for this, but eventually push comes to shove and then someone’s back goes out simply from picking up some laundry. Chronic pain plagues so many of us, and so often the medical community doesn’t understand exactly what is causing that pain. Pain is the body’s method of communicating to us that we need to stop what we are doing and change something. Discovering what needs to change is not always a simple task. How do we experience this healing? It requires trust in your therapist. It requires slowing down and allowing your mind, body and spirit to express what needs expressing. It requires not forcing your fascia to do what you think it “should” but rather just letting go. It requires not having an agenda for your bodywork session, which comes back to trusting your therapist. Letting go with your mind is imperative so that your fascia can then let go of whatever it still needs to; you need to be in a parasympathetic state for this type of healing to occur, and for any real changes in your fascia to occur. If you are one who likes to chat during massage, you will never get to this level of healing. Not everyone needs this deep emotional release during bodywork, but many of us certainly do. If you ever feel the need to weep during a bodywork session, please remember that it is good and healthy to let that happen. Don’t stifle the healing process with any “should’s.” You are safe with your therapist, and all licensed therapists receive training on this very topic. I recommend that you talk to your therapist if you’d like to know more. 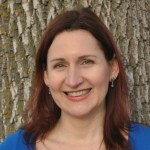 Heidi Aschenbrenner, BCTMB CCT, LMBT and Member AOBTA, is the owner of Renu Massage, Energy & Bodywork. Heidi’s team of therapists all strive to achieve balance in each session through the use of energy work incorporated into their bodywork therapies. We’ve all heard the term “aromatherapy,” which utilizes essential oils during massage, sauna use, or as an addition to a bath or lotion, but many of us aren’t exactly certain what those terms actually mean. What exactly are essential oils? How are they helpful? Essential oils are extracted from a given plant (using all of its parts from root to flower). The extraction is generally done using a steam distillation process to release the oils, and then the oil is extracted from the steam as the mixture cools. With distillation, any pesticides or other chemicals that may have been in the plant should be removed. Cold pressing may also be utilized for certain citrus oils. The health benefits from the original plant are then concentrated in the oil extraction. Essential oils can be used to remedy a wide range of ailments, just as plants have been used to heal for centuries. Quality does matter – it does seem to be true that you get what you pay for with essential oils. It usually takes thousands of a particular plant to produce just a few milliliters of essential oil! The term “therapeutic grade” is used by several companies, and though that term is not a regulated one, it is generally the industry standard that signifies that the oils are pure and contain no fillers or artificial ingredients. But as with any unregulated term, ask questions! Find out what the extraction process is – there should never be oily feel to a pure essential oil (which you can test on a sheet of white paper). Some sources of good quality oils include doTERRA, Young Living, Swiss Aromatics, and Native American Nutritionals. 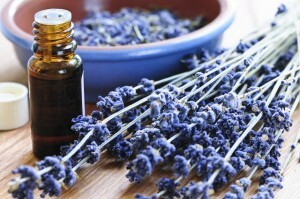 There are several essential oils I can’t live without anymore: lavender, peppermint, lemon, and frankincense. Lavender is simply the most versatile oil out there; it can be used to relax muscles, to soothe irritated skin (and is disinfecting), and is very calming and great for a bath or a massage. It can spruce up a stagnant closet, freshen up a room, linens, really anything! It can help keep winter dryness away when added to your moisturizer (fractionated coconut oil is best to mix it with). Peppermint is wonderful for both digestive troubles and also for any sinus congestion or headaches. It helps relax muscles too, so it’s a great blend with lavender if you’ve got a knot in your back. Peppermint has soothed my tummy many a time after eating something that didn’t agree with me. You can double bag your peppermint tea or add a few drops of the essential oil to receive its soothing effects on your digestive system or to eliminate headaches without taking a pill. Rubbing it directly on your belly works for digestive troubles too. When diffused in a room, not only do you get its great benefits for your sinuses, you’ll also be encouraging your 6 and 8 legged uninvited guests to vacate the premises – insects and arachnids don’t like peppermint, an added bonus! Lemon is such a wonderful immune-boosting oil. Just a few drops to your favorite herbal tea will help detoxify your liver and give you an energy boost. Mixing lemon and peppermint in your morning glass of water will give you a refreshing, energy boosting treat. Lemon can also get the stink out of forgotten wet laundry and help with hard water deposits when cleaning. Ah, frankincense… My new favorite oil. It’s calming to both your physical and emotional states. Just taking a few deep breathes of frankincense can change your whole perspective and turn your day around. It’s also good for skin conditions and is a diuretic, and it works very well with peppermint to relieve headaches. Frankincense boosts your immune system and supports your body’s healthy production of white blood cells, and it makes you feel great while it’s doing all that. Who can benefit from essential oils? Everyone! They are particularly great for pregnant women who want more natural remedies for headaches, nausea, morning sickness, congestion, swollen ankles, or low-back pain. 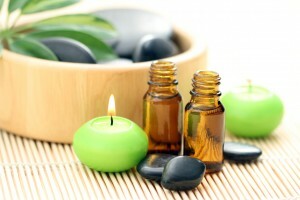 Essential oils are a wonderful complement to any massage, and can be a great addition to any home. 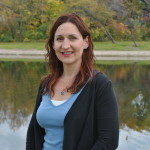 Heidi Aschenbrenner, BCTMB CCT, LMBT and Member AOBTA, is the owner of Renu Massage, Energy & Bodywork. 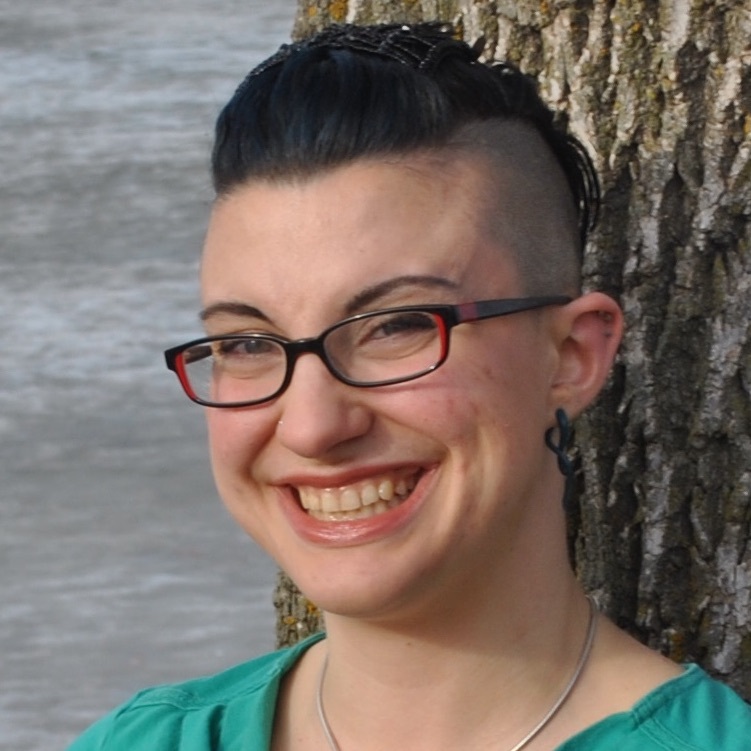 Heidi and her team of therapists all strive to achieve balance in each session through the use of energy work incorporated into their bodywork therapies. Is massage or other kinds of bodywork part of your regular wellness habits? Or do you just come in for special occasions when you believe you deserve a treat? Massage is considered part of health care in other countries and has been an ancient form of healing. It’s no surprise that most chiropractors have an onsite massage therapist as part of their practices. Massage has benefits for the physical body, the mind, and your energetic life force. 1. Do you see a chiropractor? Every time you get adjusted, your muscles will want to pull your spine or pelvis back to to where it was before, since those muscles had adjusted themselves to that position. Massage helps train them to go back to how they should be in relation to the newly adjusted bones. those people to feel better and be able to function instead of remaining debilitated. Same goes for headaches and migraines. 4. Say hello to endorphins during every massage session. You know that great feeling you get after you’ve peaked in your exercise session? Get more of that natural goodness with massage. Endorphins are our natural pain killers and stress fighters. Who doesn’t want more natural stress fighters? 5. You will sleep better! Most of us could use a little extra rest, so why not promote healthy sleep with regular massage? Your brain will thank you. You will also feel more alert, one 1996 study found. 7. You’ll even look better! Massage increases blood flow and stimulates lymphatic drainage, making your largest organ (skin) look healthier and younger. Cupping therapy on the face greatly multiplies this particular benefit! We call this Facial Rejuvenation Cupping at Renu. 8. Soothe anxiety and depression without medication. Massage reduces cortisol, that pesky stress hormone. We all know cortisol much too well, and massage directly reduces cortisol levels, multiple studies have shown. 9. Massage soothes the mind and spirit, not just the body. During massage or bodywork sessions, you will enter a parasympathetic state (like a meditative state), allowing mindfulness to occur naturally. This helps balance you emotionally and spiritually, in addition to all the great physical benefits mentioned above. Massage is important for your health. It’s documented. It’s something that many people with debilitating pain have discovered has helped the regain their lives. But regular massage should not be enjoyed only by those in chronic pain; each of us will benefit by incorporating a monthly massage into our lifestyle. We really can’t afford not to! A recent client wrote on Google that the Couples Massage Package is an “absolutely wonderful experience!” We regularly get lots of positive feedback from couples about this package, such a treat and hard to find at other places. Three years ago, another Google user wrote that the Couples Massage Package “was truly amazing! So relaxing, and the massage therapists were exceptional. Would definitely recommend!” Keeping clients happy year after year is what we love to do. Affordable, consistent massage & bodywork – “the costs and knowledge of different techniques are what keeps me coming back,” said another satisfied client, who prefers Renu under its current ownership and management which has been in place since 2011. Renu strives to provide excellent, affordable massage bodywork. Each member of our team has excellent therapeutic skills and is a joy to work with. We invite you to find out who’s your favorite! Too much sleep, not enough sleep. Extra cup of coffee, or you skipped your second cup today. You could be in the middle of finals at school, or maybe you just finally got a break after a long week at work. Yet, no matter what, it seems like it’s time for a migraine. The neck pain starts to creep in, maybe you yawn, and maybe you start craving sugar. You get nauseous, the pain creeps behind one eye, and all you can think about is crawling to a dark room and trying to sleep it off. Unfortunately, it’s much harder to stop pain once it begins than it is to prevent it. A better approach lies in identifying as many migraine triggers as possible, and controlling the ones you can. Migraine triggers are highly individual, but there are common themes. According to a large study, the most common trigger is weather, followed closely by stress and not enough sleep. For those who have dealt with migraines — many of us for our whole lives — some triggers are obvious and predictable (no, thanks, I’ll pass on the white wine! ), while others are elusive and fickle. Maybe some days you can handle that extra cup of coffee, and other days, a few sips and you can feel the throbbing start. What gives? This is where the concept of a trigger threshold is useful. A tool used to describe how and why certain combinations lead to that telltale pain, being able to identify and whittle away at your own trigger threshold is an invaluable tool for the migraineur. Imagine a cup that, when filled, means you get a migraine. Some things add a few drops, like spending too many hours at your computer or forgetting your sunglasses on a long walk. Some things fill the cup halfway, like a glass of white wine or sleeping on your neck wrong. What matters most is how full the cup already is. Say you skipped a meal — that’s a third of your glass. Unfortunately, you skipped that meal because you slept badly (another quarter, let’s say), and you tossed and turned so much you wrenched your neck (another quarter). Now your glass is five sixths full, so while your coworker wearing cologne isn’t usually an issue, BAM, the glass is full and now it’s migraine time. Some triggers are controllable. Avoiding certain foods, for example, is a relatively easy solution, or sticking to two cups of coffee a day. Other triggers are completely outside our control, like the weather or whether a coworker piles on the cologne for a hot date. A lot of triggers can be controlled to an extent with regular massage to reduce stress, eating regularly and not skipping meals, stretching for muscle tension, etc. In particular, stress and physical tension reduction can go a long way toward preventing a migraine, or if one has already started, making the pain and symptoms more bearable. One of the most common symptoms of migraines — more common even than nausea or the migraine aura itself in some studies — is neck pain. For many, neck pain is the final drop in their migraine cup, or perhaps the first symptom of the migraine itself. Many common prescription migraine medications, such as the triptans (Imitrex, Amerge, etc.) can cause muscle cramps and tension, which don’t feel great even if your head starts to feel better. Massage can help relieve the tension before and during a migraine, and regular bodywork can help reduce your overall stress levels and prevent the physical tension patterns from taking hold as easily. Most importantly, find what combination works for you. The key is to control as many triggers and symptoms as possible so that when the uncontrollable happens, your cup isn’t already full. 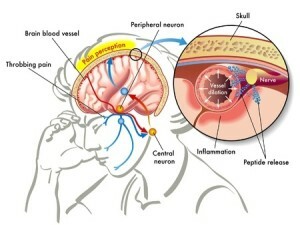 Many find it hard to tell what facets of their migraines are triggers and precede the migraine, or make up the migraine itself. By regularly emptying your migraine cup, or keeping the amount in it low, you can reduce your levels of pain and help prevent a migraine before it starts. References: “Common Triggers.” Migraine.com. www.migraine.com/mia2012/common-triggers/. I meet a fair amount of people who think of massage and bodywork as a luxury, something to treat oneself to on special occasions. While it is a true massage, feels wonderful and is a great way to celebrate, it seems these people are missing out on a huge opportunity to improve their overall daily health. When people like this come into my practice, I can usually see lots of benefits to regular bodywork that they would experience if they allowed themselves to take care of their bodies. And even if they agree it’s a good idea to do it more often, we won’t see them again for months. Self-care is important — it is not a luxury at all! We all know to put on our own oxygen mask first in the very unlikely event that our airplane loses cabin pressure, but not all of us know how to take care of our own body, mind and soul. Massage and bodywork address all three of those, and it feels good too! Granted, sometimes bodywork doesn’t feel great if we have super tight or knotted areas, or areas that have been causing pain in the body for some time. Sometimes it does need to feel worse before it feels better. But that doesn’t mean that massage feels wonderful but has no benefits; it absolutely does. We depend on and expect our bodies to carry us from one activity to the next, and we often have such expectations without giving it the appropriate care. It’s no wonder so many people have aches and pains, since bodies are contracting during exercise and fast-paced living, yet not very often getting stretched, soothed, or returned to their elongated state filled with wonderful oxygen. So even an average Jane or Joe who has no complaints can benefit greatly from massage. Some physical issues can be resolved quickly and efficiently with bodywork, but others are more complex and deeper within. Those in this category often know they need bodywork to address an issue, and they expect if they just keep showing up to regular massage appointments then their issues will magically be resolved without any effort on their part. 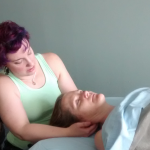 While massage or other bodywork is a great and appropriate thing to do for a great many chronic conditions, it is only part of the equation and only goes so far. The recipient bears the responsibility to fill that gap and to partner with the therapist to really see some fantastic results. Filling the gap can be done with emotional or spiritual healing, or even by changing some regular habits that are creating the pattern we are trying to change. The bodyworker gets an hour with someone every few weeks, and those habits get a significant more amount of time. Personally, I have found that true healing is multilayered. Pain in the body can be as simple as surface level, but chronic issues usually have an emotional, energetic and spiritual component. Each person on the journey of healing needs to seek healing on all these layers. And very importantly, communicate with the therapist before, during and after sessions about what is working and not working, what is being felt and experienced, or anything else that feels relevant. A therapist can often read signals the body gives, but a therapist can never know what a client is thinking, feeling or wanting without being told. The more input a therapist receives, the more efficient that therapy session will be. Whether you are looking to massage and bodywork for relaxation, to heal an old injury or provide relief from chronic pain that affects your daily activities, it is vital that you see your relationship with your therapist as a partnership. Your therapist needs your input to get to the core of the issues that you want to resolve. Together, you can journey through the path of healing to the other side. Chronic pain seems to be so prevalent these days. According to the National Institute of Neurological Disorders and Stroke, about 80 percent of adults experience low back pain at some point in their lives. Sometimes the pain goes away on its own, other times it lingers and becomes a chronic condition (defined as persisting for 12 weeks or longer), and many people have to deal with chronic pain for years (the author included!). While there are many potential causes of the initial pain, it often can become a chronic condition because of the fascial restrictions that result from the injury. What is fascia? Fascia is the connective tissue in your body beneath the skin that attaches and stabilizes muscles and internal organs. There are several layers of fascia, which include your muscular and visceral tissues. It looks like a spider’s web or a sweater, and it is a continuous structure throughout your body, so everything is connected! Restrictions can occur in fascia from every day activities and the regular stressors we all experience, which usually are easily worked out with exercise, stretching, yoga and regular bodywork. All of these provide a very healthy maintenance system for your musculoskeletal system, and we all probably need to take better care of our bodies. Restrictions will definitely occur after any kind of trauma or injury, and these are the kinds of restrictions that your fascial system tends to hold on to in an effort to guard against repeated injury. This is especially common with low back pain — there could be nothing structurally wrong in a low back, but tightness in the surrounding muscles or fascia will result in chronic pain anyway. It takes time to retrain the fascial system to not behave defensively and let the body return to its normal activities; it’s as if your fascia has a memory of the injuring trauma and goes into protective mode. Then it likes to stay in that mode. Protective mode tends to mean tightness and being “on guard,” which then promotes more adhesions or other restrictions in the tissue, which limits blood flow and oxygen, which results in pain. What can help? Our muscles and most of our fascia are retrainable, which is great news! For chronic pain, it is important to work through the muscles and other fascia to release the adhesions and retrain those tissues. Exercises and stretching can be very helpful too, if you consult with a physical therapist or a personal trainer with experience in the issues you are experiencing. And of course if anything structural is a problem, then a chiropractor visit would be in order. But before seeing all kinds of specialists, often it’s enough to just get some regular massage and bodywork from a licensed massage or bodyworker therapist. This can be enough to alleviate the restrictions and let the muscles both get to know and also embrace a new normal. Sometimes the fascial restrictions can also contribute to a structural misalignment because the muscles are so used to being in an incorrect position, and they prefer to stay how they are. So before you see that chiropractor, do your body a favor and get a massage first!